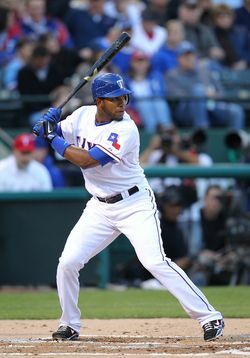 The Rangers and shortstop Elvis Andrus have officially signed a three-year extension. The deal, which doesn't include any options, is worth $14.4MM, Jon Heyman of CBS Sports reports on Twitter. The Boras Corporation represents Andrus, who was arbitration eligible for the first time this offseason and had a hearing scheduled for Thursday. 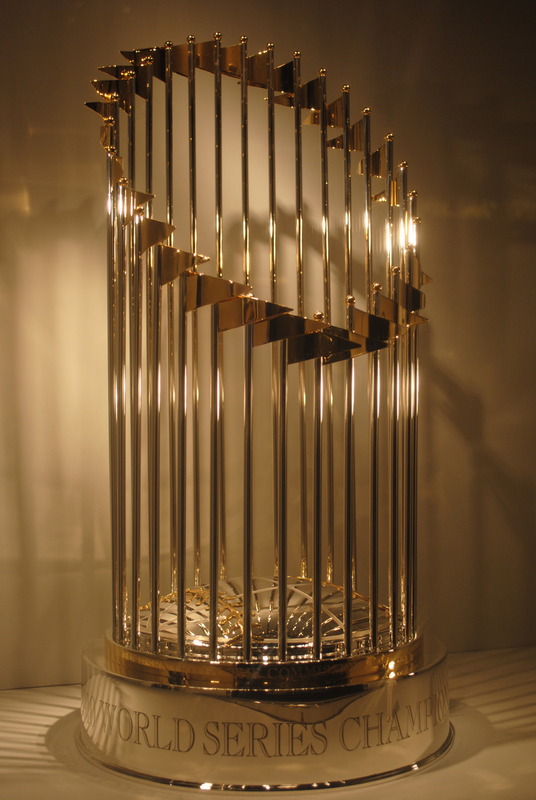 Ken Rosenthal and Jon Paul Morosi of FOX Sports first reported the agreement. Andrus had filed for $3.6MM in arbitration, while the Rangers had countered with a $2.65MM submission, as MLBTR's Arbitration Tracker shows. The 23-year-old Venezuela native is under team control through 2014, so the deal buys out all of his arbitration seasons and no free agent years. Andrus owns a .271/.340/.343 line with 102 stolen bases (135 attempts) as a Major Leaguer. He has appeared in at least 145 regular games in each of the past three seasons and contributed in the postseason in 2010 and 2011. Andrus is an above-average defender at short, according to UZR. Figured the Rangers wouldn’t be able to get any free agent years. At least now they don’t have to worry about Elvis developing mysterious power and taking the Rangers to the bank in his 2nd and 3rd arbitration cases. In 3 years, they’ll slide Profar at SS and take the draft picks when Andrus walks. Exactly. By then Profar will be more than ready and be a huge upgrade for the Rangers. Huge upgrade? You can tell this already? I know he is highly touted, but to say that he will definitively be a “huge” upgrade over Andrus who is arguably a top 5 SS in the game right now is jumping the gun don’t you think? I think he will more than likely live up to his hype, but I’m definitely not betting my house on it. They’ll trade Elvis, they won’t settle for draft picks. What draft picks? Unless the Rangers are planning on offering around $15 million in arbitration when he hits free agency they get nothing. Elvis will probably be traded. Ideally we would have picked up a couple of years of FA, that way he’s a little more attractive to other suitors, but oh well. Only slightly. Career .282/.345/.359 hitter at Safeco. Of course, the better point to draw from both our stats is that small sample sizes are of marginal value, and not particularly relevant to this question. If he played a greater proportion of his games away from Arlington, at a park like Safeco, and had a good hitting coach, who’s to say he couldn’t adjust his approach to take advantage? It sounds plausible. you know, I had this discussion with my roommate the other day, who is the best Short Stop in the A.L right now? I said elvis, he says elvis as well….but I dont think he gets that respect. Rangers are lucky to have ’em. Jeter and it ain’t even close. NYY 4 eva. Jeter…HAHAHAHAHAHAHAH!!! It’s not the 90’s anymore buddy! Always with Jeter and the legacy votes. Not even close. Id be willing to say he is near the middle of the pack of all MLB shortstops. Middle of the pack is generous at this point. Over the past 3 years no ss has had a higher war in the al, so it’s really generous at all, even last year he managed an avg war for a ss and if his second half is any indication he will once again be better on the offensive side than most ss. The A.L is weird when it comes to SS. the N.L has Tulo, head and shoulders the best SS for that league. But you come to the AL and there isnt a whole lot of separation at this point and time. yea i think andrus and escobar are close. after that you probably have to reach a bit. peralta had a good year last year but hes pretty inconsistent on the career, same goes for hardy. he is up there actually he is better in terms of WAR than andrus…Since 09 the year Andrus became a full time player, also the same year Alexi made the transition to SS…Alexi WAR 09-11 11.6 Andrus 10.1…alexi is a full 1.5 WAR better thats not a huge margin but its still better..
URZ/150 favors Alexi ’09=3.2….’10=10.1 ….. ’11=11.4 Andrus ’09=13.5(wow)…’10=.3…..’11=6.9.. I need to educate myself on WAR, at 23 and a former college baseball player I should know this. I’ve just never taken the time to do so. Edit: Nevermind forgot about Carbrera. I am still skeptical of the power but he is still a very talent hitter. If I had to start a team and could only choose AL SS it would be A-Cab. NL would obviously be Tulo, as it would be for everyone. Oh yeah OMG Edit take 2. Alexei. Snap. Not saying I wouldn’t want Cabrera on my team, I would love too. But personally I need to see another solid year before I can put him on the top of my list, he is a great piece for the Tribe I just need to see the consistency. I can’t argue with that logic either, which just further more proves my point. There is no clear cut “best short stop” in the AL right now. Lot of really good players, not a great one like tulo. Definitely true. Aybar is a very solid hitter who plays excellent defense. But he’s not the complete package like Tulo is (or A-Rod used to be). I think Elvis knows a little bit of what to do with the ball when he gets it as well. Yea, he had an off year. Sadly, the majority of those errors came in the first half of the season. Wash layed into him about it and he improved. Cabrera isn’t a very good short stop. He can hit however. full 1.5 WAR better thats not a huge margin but its still better..
URZ/150 favors Alexi ’09=3.2….’10=10.1 ….. ’11=11.4 Andrus ’09=13.5(wow)…’10=.3…..’11=6.9. He was right there with the top AL shortstops… while 20 to 22 years old. He is now entering his prime while those others leave theirs. Except Ramirez has probably already reached his potential while Andrus is on the rise. Good deal for the Rangers… I wonder where Andrus will walk after the deal assuming the Rangers let him. The Rangers would trade him before they let him walk. We have Profar up behind him. Uh why would you want to trade elvis andrus? Profar is in A ball so who knows if he will even turn out even though he has gotton off to a nice start in his pro debut. Profar will make Elvis expendable. We can flip Elvis for pitching, which we’ll need more. Profar probably has another season and a half until he’s ready to come up. When you go to a game the team comes on to the field to “YOUR Texas Rangers”. The team literally would not exist without fans. People complaining about “we” is ridiculous, they WANT fans to view themselves as part of the club. As for Andrus, do you realize last year was his age 22 season? The guy had a 4.5 WAR at 22, that is incredibly rare. His average has been mediocre, but thats meaningless since he has excellent patience for his age/lack of power, a .347 obp for a young shortstop? Nothing wrong with that. Good defense + solid on base skills = very good player. If he develops into a .300 hitter as he approaches his prime with a a few more doubles (he already upped his career high from 17 to 27 last year) then he will be an elite shortstop. Already very good as is. Defense up the middle is kind of important. .271 with speed and good obp is better than mediocre for a #2 hitter. And as far as lack of power, he’s not supposed to hit homeruns. But your assessment otherwise is spot on. Excellent deal for the rangers and we can say andrus is set for life. This isn’t really an extension, just avoiding arbitration. Man, If the Rangers had given him 5 a year I would have still been happy with this move. Hopefully this is just the red carpet being laid for Profar’s inevitable Hall of Fame career, but honestly if Andrus was my SS for the next 8 years I would more than live. He just needs to learn to take the easy out. That cost the Rangers the WS. Why do they keep cycling this to the top? Old news. I can argue that Andrus has basically been a Marco Scutaro type player the past three seasons. Hmm, didnt realize Scutaro was 22 yrs old. Odd, I’ll have to remember that. Also too for those that talk about his errors– you have to keep in mind how many extra baseballs he is able to get at as opposed to an old Jeter everyone is praising. Andrus might have errors, but he sure as hell covers a lot of ground and saves you runs.